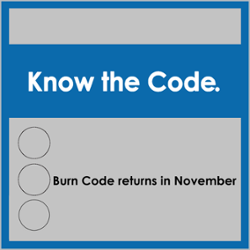 The Burn Code Will Return in November. What is the Green, Yellow, Red Burn Code? This code and your participation is our best hope for clean air. In 1987, the Washoe County Air Quality Management Division (AQMD) initiated this code to reduce emissions from woodstoves and fireplaces. The Burn Code program uses traffic lights to convey whether citizens can burn during a given time. The program begins November 1st and runs through the end of February. Green. It’s okay to burn when you see the Air Quality Index (AQI) in this Good to mid-Moderate range, but please burn only dry, seasoned wood. Yellow. Go easy on how much you burn or stop altogether at this Moderate range. Compliance is voluntary but greatly encouraged. Reducing or stopping wood burning now can prevent air pollution from reaching unhealthy levels. Red. When inversions settle into our area and the Health District declares a Stage 1 Episode – this prohibits burning for 24 hours. Compliance is enforced at this stage. What areas are affected by the Green, Yellow, Red Burn Code? 89431, 89433, 89434, 89436, 89439, 89441, 89501, 89502, 89503, 89506, 89509, 89511, 89512, 89519, 89521, 89523, 89557, 89595, 89704. Why are these restrictions necessary? Our goal is to reduce the harmful emissions that come from wood burning. The best way to accomplish that is to familiarize as many people as possible about the Green, Yellow, Red Burn Code. How is the Red Burn code enforced? When we receive and confirm citizen complaints about visible smoke during burn bans, or when AQMD Enforcement staff observe smoke on those days, violators will receive warnings and/or fines. Are there exemptions for the Burn Code? 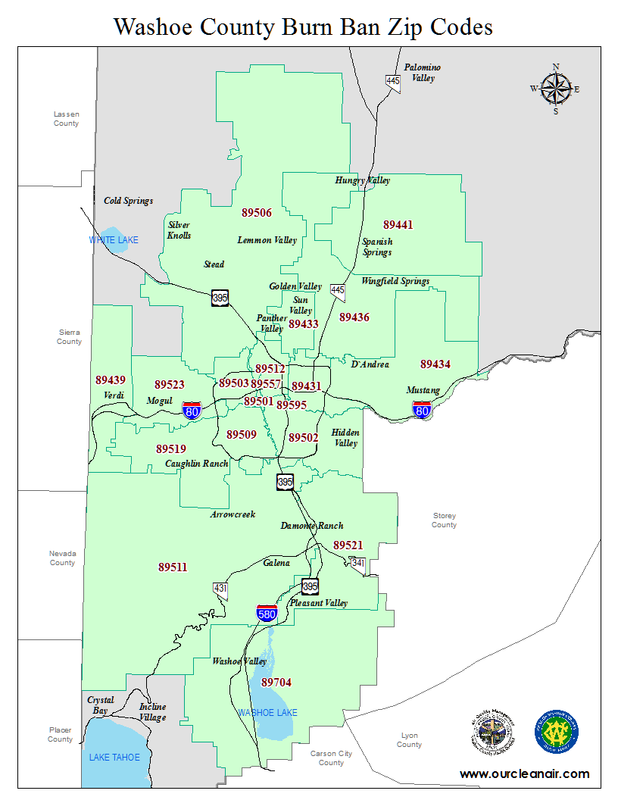 If you live outside the ZIP codes listed before, you are exempt. If you rely on wood burning as your only source of heating, you must submit a Sole Source of Heat Declaration to the AQMD each winter season. 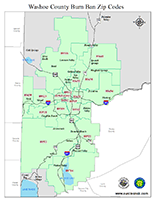 Contact the AQMD at (775) 784-7200 for a declaration form or visit www.OurCleanAir.com. Other exemptions include fireplaces and stoves that operate exclusively with natural gas or propane, non-permitted cooking devices, and ceremonial fires related to specific religious activities. How will these burn code restrictions affect me? In short, these regulations will lower the chances of reaching red burn code episodes that have occurred in past winters. Compliance will provide us all with better air quality. How do I know if it’s safe to burn? Visit the AQMD website at www.OurCleanAir.com. How can I burn properly? Burn only dry, well-seasoned wood, pellets, and fire logs. Properly-seasoned wood is split, stored and aged for at least 6 months. It is darker, has cracks in the end grain, and sounds hollow when smacked against another piece of wood. Dry, seasoned wood burns hotter, cuts wood usage and reduces smoke from your burning device. wet, rotted, diseased, or moldy wood. Start a fire with only clean newspaper or dry kindling. Never use gasoline, kerosene, charcoal starter, or a propane torch. Never let the fire smolder overnight, it does little for heating but increases air pollution. What are the health effects of breathing wood smoke? increased susceptibility to heart and vascular disease for postmenopausal women. In addition, new health studies show that breathing wood smoke reduces the blood's ability to clot. For children it can lower IQ, decrease memory, and make them more likely to suffer ill health effects. This is because their respiratory systems are still developing and they breathe more air per pound of body weight than adults. How do I report suspected burn code violators? People like you who are concerned about the quality of our air are our community’s best allies in enforcing burn codes. If you suspect a violator, call the Air Quality Management Division at (775) 784-7200.